GOOGLE searches for "human decomposition timeline" were carried out 18 months after the disappearance of Bobby Ryan on a computer taken from Patrick Quirke's house, the Tipperary murder trial has heard. Gardaí also discovered links to YouTube videos for 'the Body Farm' study of human decomposition, showing human remains, skin slippage and DNA analysis, which appeared as images but gardai were unable to say if they had actually been watched. 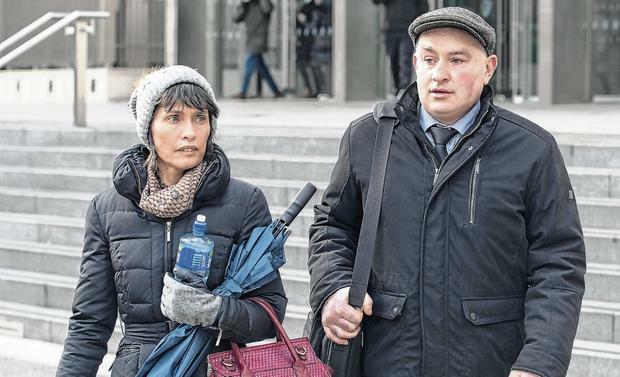 Det Garda Paul Fitzpatrick of the Garda National Cyber Crime unit told the trial he used forensic software to examine two PCS, an Apple ipad, a USB and an external hard drive taken from the home of Patrick Quirke. Patrick Quirke (50) of Breanshamore, Co Tipperary has pleaded not guilty to the murder of Bobby Ryan (52) a part-time DJ known as Mr Moonlight on a date between June 3 2011 and April 2013. Det Garda Fitzpatrick told the trial he used licenced forensic software which enabled him to examine all the visible and invisible files on the computers, including internet searches. One PC, with no serial number, which was seized from the house, was examined on May 28 2013. The last log on of that PC was on May 17, 2013, he said. His search revealed various 'cookie files' - one which showed that on December 3, 2012 at 15.36 pm, the user had used Google to search for 'human body decomposition timeline' to go to the website forensics4fiction.com which showed 'the five stages of decomposition', Dt Gda Paul Fitzpatrick said. He also found two other cookie files showing a user had visited similar sites on the same date, with data within the cookie file showing Google had been used to search for 'the rate of human decomposition' at which stage Google had returned a number of hits. The user had then selected 'environmentalgrafitti.com'. Data showed another Google search on the same date, for 'human decomposition time lines' with hits that brought to user to the website, suite101.com and a cookie file was created. This showed how a human body decomposes after death. The computer showed an image of the decomposition in various stages. There were also links to YoutTube videos which, he said, appeared as images, but he could not say if they had actually been watched. These included a link for a YouTube channel with a video of the Body Farm and Beyond - which takes you on a tour of the Body Farm, showing and discussing human remains, skin slippage and DNA analysis. A second link was to a YouTube video of the Body Farm which showed a study of human decomposition carried out on real corpses. "Note the researcher mentions 'you never forget the smell'," Dt Gda Fitzpatrick told the court. A third link was for a YouTube video that had been removed for copyright reasons, with a title that began: "Decomposition of the.."
He also found a number of searches for Bobby Ryan on May 2 2013, as well as on May 9, 14 and 15 of 2013. The trial continues before Judge Eileen Creedon and a jury of six women and six men.